Imagine what it might be like to grow up in a home in which unpredictable periods of sheer terror and physical abuse were the norm. In this book, the sister of one of the Netherland’s most notorious criminal and crime boss—Willem Holleeder—describes the consequences. In brilliant detail, she sheds light on the bizarre interrelationships between her, her infamous brother, and her sister Sonja, all of whom grew up in such a home. Yet when these children became adults, breaking rules became almost a daily occurrence. Their father’s attitude toward women was that he was the “boss.” Every day he’d scream “Who’s the boss?” and his wife would answer, “You are the boss.” He believed that “…women were inferior beings, their husband’s property, and whores by nature.” His wife was not allowed to leave the house for fear she might encounter other men, and if he came home and she happened to be home, there was hell to pay afterwards. Yet Astrid became a lawyer. Willem started early in criminal activities , and the family was often intimately involved. He first became widely know when he and Sonja’s Husband Cor, along with some others, kidnapped Freddy Heineken—the heir to the Heineken Brewery fortune. Of note was that their father had worked for the brewery for most of his adult life. The Heineken family ended up paying the ransom; Freddy was released for 35 million Dutch guilders. Most of it was eventually recovered by the authorities, but not all. Questions about what happened to the rest eventually led to a falling out between Willem and Cor. After two previous attempts, Willem eventually had Cor murdered. During the first one, Cor’s car was shot up – with Sonja and their son in it. Astrid had been more or less pressured by Willem to serve him as a sort of consigliere. She would give him legal advice and helped him keep the rest of the family in line, while he kept her in line with various threats. As far as the attempts on the life of the brother- in-law, he at first acted all innocent and “helpful” to the family. He was an expert at manipulating family members and strangers alike by either turning on the charm or by scaring the hell out of them. Gradually Astrid and Sonja figured out that it was Willem who had put the contract out on Cor, and because Willem seemed willing to kill even family members, they eventually turned on him. 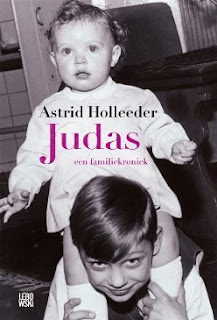 Although highly mistrustful of the authorities for a variety of valid reasons (assuming Astrid’s reasons were honestly described) and constantly fearful for their own lives, they began working with the Dutch Justice Department. They eventually testified against their brother and helped put him in prison. He remains there, but the trials of several charges against him drag on. Both Astrid and Sonja are at present in hiding. The author knew that Willem has put a contract out on her and her sister and that their days are probably numbered. She never forgave him for Cor’s murder. She knows he has put out hits on a significant number of murder victims, many of whom having been his former partners in crime.